We tend to think of people who experience chronic worry and anxiety as deliberate, cautious and risk averse– always thinking ahead to the worst case scenario and possible ways that situations may end in catastrophe. 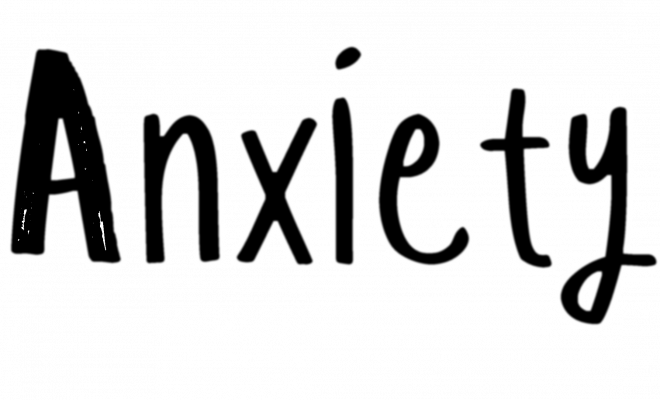 But there are times when anxiety can cause people to act impulsively. For example, when people are in the midst of a worry episode, they may make rash, hasty, even regrettable decisions in the service of quelling their anxiety and intense discomfort. Not many studies have examined the relationship between anxiety disorders and impulsivity. Elizabeth Pawluk and Naomi Koerner at Ryerson University conducted two preliminary studies to better understand impulsivity in people with generalized anxiety disorder (GAD), a condition whose central feature is excessive and uncontrollable worrying. Because people with GAD often report difficulty withstanding uncertainty and intense emotional discomfort, Pawluk and Koerner reasoned that people with GAD may be particularly prone to act impulsively when they are in a state of uncertainty or when they are experiencing emotions that feel intolerable or unacceptable. The first study, published in 2013 in the journal Personality and Individual Differences was conducted with 140 university students who were classified as high in GAD symptoms or low on GAD symptoms based on their score on a questionnaire. Participants completed measures assessing various facets of impulsivity. Pawluk and Koerner found that two dimensions of impulsivity best characterized people high (versus low) in GAD symptoms. The first dimension that distinguished the groups was negative urgency – people high in GAD symptoms were more likely to say that they engage in rash action when they are feeling upset or distressed in order to feel better “right now.” The second dimension that distinguished the groups was “functional” impulsivity – people high in GAD symptoms were less likely to say that they make quick decisions when a situation calls for it. So what this study demonstrates is that people who tend to worry a lot become impulsive when they are feeling unable to manage their emotions but are not sufficiently impulsive in situations in which a slow decision may cause them to miss out on an important opportunity. In a follow-up study published in 2016 in the journal Anxiety, Stress, & Coping, Pawluk and Koerner looked into possible explanations for negative urgency in people high in GAD symptoms. They classified 308 university students as high or low in GAD symptoms based on a questionnaire. Participants completed measures of impulsivity, intolerance of uncertainty and intolerance of negative emotional states. They found that a greater tendency to view uncertainty as unacceptable and aversive, and a greater tendency to view feelings of distress as scary and unbearable both accounted for negative urgency among people high in GAD symptoms. Taken together, it seems that intense feelings of discomfort are triggers for impulsivity in people who worry excessively. Pawluk, Koerner and collaborators at Ryerson University are currently looking at what impulsivity “looks” like in people who experience excessive and uncontrollable worrying with the goal of developing assessments that clinicians can use in therapy with individuals who have GAD.